Eight medical practitioners were certified in Mirror Therapy by Mirror Therapy Adria on December 3, 2016, utilizing End The Pain Project guidelines and principals. This event brings a total of 112 Mirror therapists in Bosnia and Herzegovina, Slovenia, Croatia, Serbia and Montenegro. This growing number of MT practitioners is of significant value to the region as the highest number of land mines in the world lie in the Balkans, with emphasis on Bosnia and Herzegovina. The number of land mine related injuries resulting limb amputations is still high and unfortunately, to be expected in the long term future all over the Balkans. Non-invasive Mirror Therapy is the proven first choice technique in treating phantom limb pain and phantom limb sensation. Jasmin Avdovic, Founder of Mirror Therapy Adria, organized yet another successful full-day MT workshop on December 3, 2016. The Workshop took place in at the Hollywood Spa and Resort, Sarajevo BiH. Many questions were raised and answered, including those about the treatment of the central nervous system injuries and illnesses resulting in hemiparesis and facial nerve paralysis with mirror therapy, innovations beyond treating only phantom limb pain and phantom limb sensation. 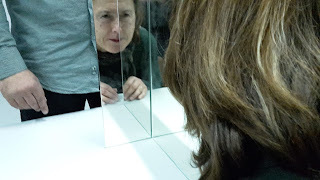 After learning the principals on which MT works -- based on brain plasticity, remapping the brain, and the fact that humans possess mirror neurons, participants were amazed with simplicity and low cost of using mirrors to achieve expected results with clients. 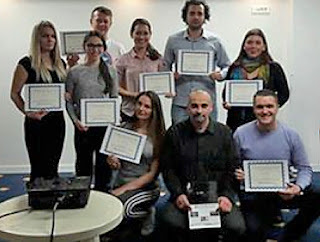 In its two years of existence, starting in December 2014, Mirror Therapy Adria has presented numerous introductory MT workshops at Physiotherapy International Congresses and presented MT to hundreds of physiotherapists all over the Balkans from Slovenia to Macedonia. Mirror Therapy Adria plans to organize similar workshops in Kosovo and Macedonia during 2017. ETPP and its co-founder Moira Judith Mann, who introduced mirror therapy for the first time in Bosnia and Herzegovina in 2013, are great supporters of Mirror Therapy Adria activities all over the Balkans. Cutting off peoples’ limbs, in most cases their hands, was one of the brutal strategies used by members of the Revolutionary United Front to terrify people to support them during the 1991-2002 civil war in Sierra Leone. Some 27,000 Sierra Leoneans are estimated to have been disabled or have had one or more limbs amputated during that time. 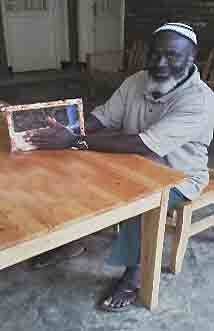 Many of these amputees still suffer phantom limb pain years after the war. End The Pain Project addresses this lingering problem with the training of Mondeh Abdulaziz on November 19-20, 2016 by ETPP Senior Trainer Jean Luc Ngambre in Burera District, Rwanda. Mr. Abdulaziz received certification as an ETPP Mirror Therapy Practitioner on December 5, 2016 and will offer the effective pain-eliminating therapy at peer-to-peer workshops for amputees in Sierra Leone upon his return. Sierra Leone now joins Rwanda as part of ETPP Pan-Africa headed by Jean Luc Ngambre. A joint effort of the Belgrade-Serbia Association for Medical Training and Education, Deus, and Mirror Therapy Adria from Sarajevo-Bosnia (as the ETPP Mirror Therapy education provider for the Adria region) , organized the first mirror therapy education ever to be held in Republic of Serbia on March 20, 2016, in the FizioBalans Center based in Belgrade. The health care system of Republic of Serbia can now offer an effective technique for treating phantom limb pain and phantom limb sensation as well as treatment of complex regional pain syndrome, spasticity and facial nerve paralysis. 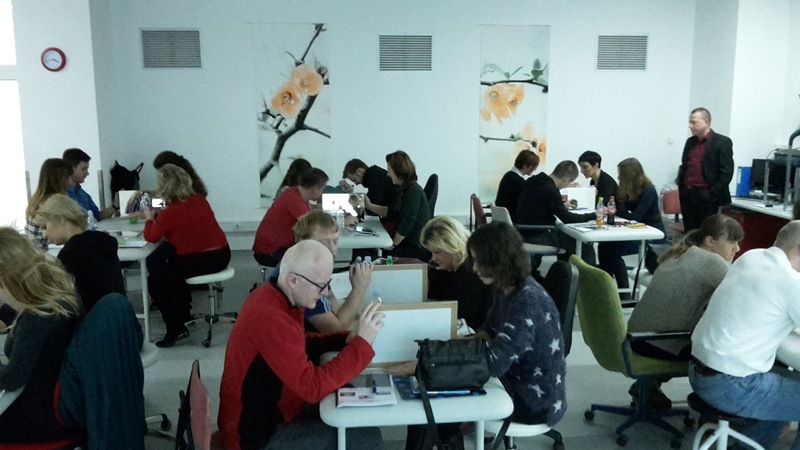 The educational workshop led by Mirror Therapy Adria trainer Jasmin Avdović, was well adopted and understood, as the participants raised many questions transforming it in to a true interactive professional event . 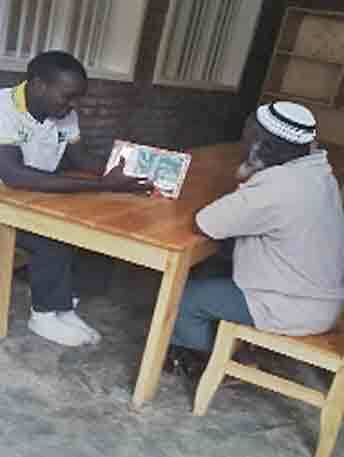 Jean Luc Ngarambe, Coordinator for ETPP-Africa, presented a Peer-to-Peer Mirror Therapy Workshop to 42 volunteers in Kagayo, Rwanda on March 15, 2016. The object of the Workshop was to train these volunteers so that they could effectively administer Mirror Therapy to amputees suffering Phantom Limb Pain in their respective communities. These volunteers included 25 lower limb amputees, 15 upper limb amputees and 2 lower trans amputees. After Jean Luc Ngarambe made his presentation, the volunteers met in smaller groups to exchange ideas about bringing Mirror Therapy to their communities and developing suggestions that would be of value, including development of volunteer kits containing a mirror, a volunteer badge , a record booklet and a small bag to carry materials; keeping regular communication and holding an evaluation meeting in a few months. At a 2-day Mirror Therapy Workshop organized by Mirror Therapy Adria and Clinical Hospital Dubrava-Zagreb for 49 healthcare professionals at the Zagreb hospital, workshop leader Jasmin Avdovic presented the product of his latest research, a technique to treat facial nerve paralysis. Using mirrors as shown in the photo creates a virtual reality. Simply put, incorporating the newly presented mirror information allows the client to re-structure the very section of the map inside the brain responsible for facial action. Just the commonly used frontal exposure to a mirror, only allows for working towards lifting one side of the mouth or one eyebrow to resemble the other side.